A nice tableware set with bowls, plates, cups, 2 knifes, 2 forks and 2 spoons. Everything you need to host a play dinner party. 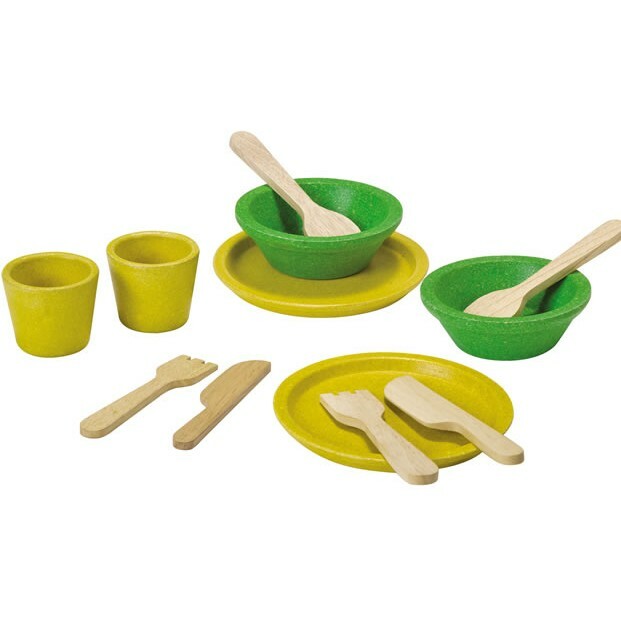 Serve up some imaginary delights or add some play food. Children love to play pretend games.